Okay, so it's not called a pack, nor a herd, apparently, but a fold, a fold of Highland Cows. She, in all of her shaggy black beauty, was its undisputed leader. I observed her, not entirely unseen, for the two and half days that I had the pleasure of staying at her hotel (why don't all hotels have folds of cows and flocks of sheep and chickens and rows of piglets?) . Hotel Le Germain in Baie St. Paul, Charlevoix, QC, has all that and more. 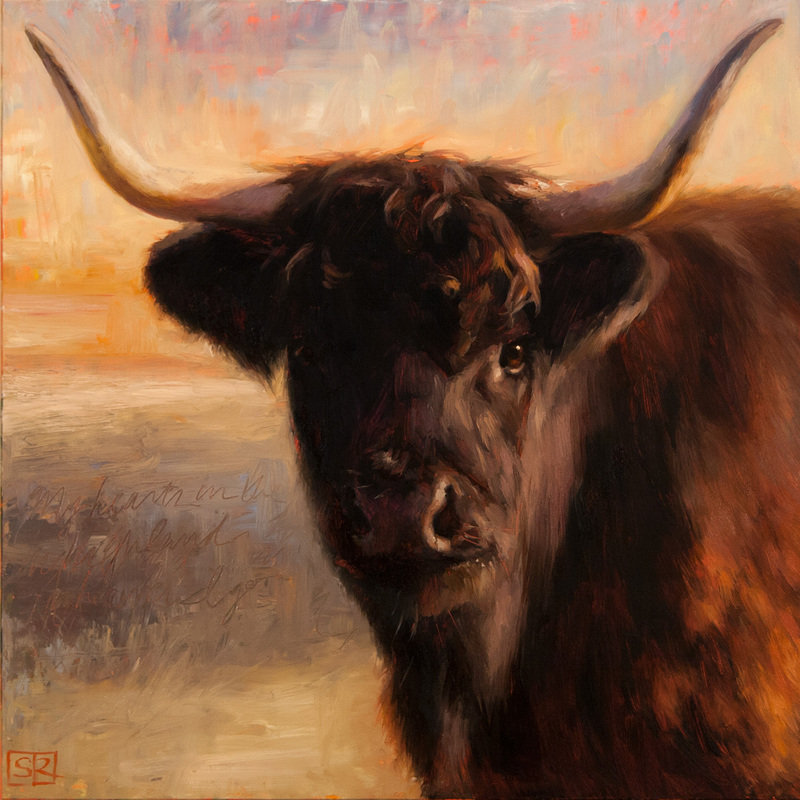 Nothing escaped her wise bovine gaze, especially not me, who was trying to observe unobserved, I couldn't resist painting her portrait.